When you record Individual Service Attendance for existing people, the built-in statistics will automatically generate statistics covering a variety of areas. 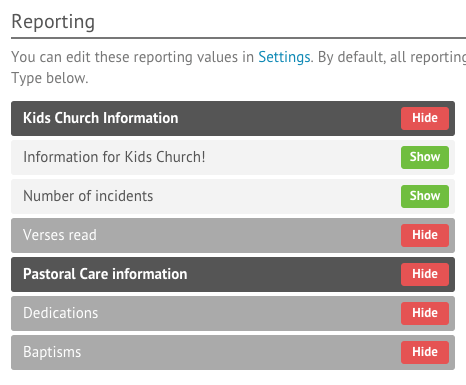 You can create Custom Service Reporting statistics by going to Settings and clicking on the Services link. By default, there are a few reporting fields that you can record. Under ‘Service Reporting’, simply drag in different objects such as Headings, Reporting fields, Note fields or Separators. Drag the objects to an order most suitable to you, and type out the names that you prefer. 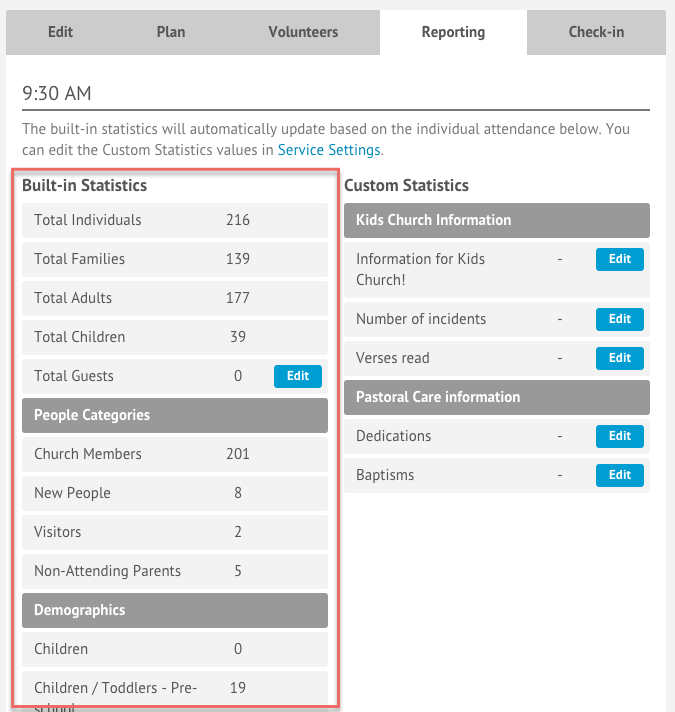 Service statistics can be entered by editing a service and clicking the ‘Reporting’ tab. 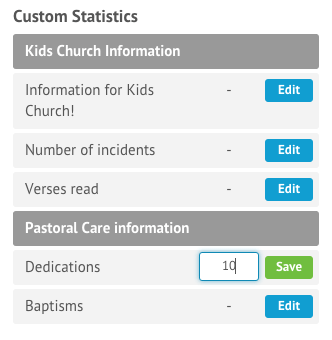 You can then edit Custom Statistics by clicking on ‘Edit’ button to the right of the statistic name. Click ‘Save’ to continue. You can also choose what reporting to use for different services by editing Service Types and click on the ‘Reporting Template’ tab. As you can see below, all statistics show up by default, but you can hide the ones you don’t wish to record for a specific service type.